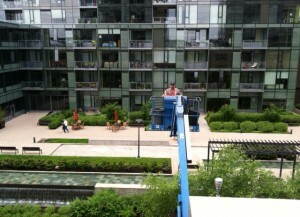 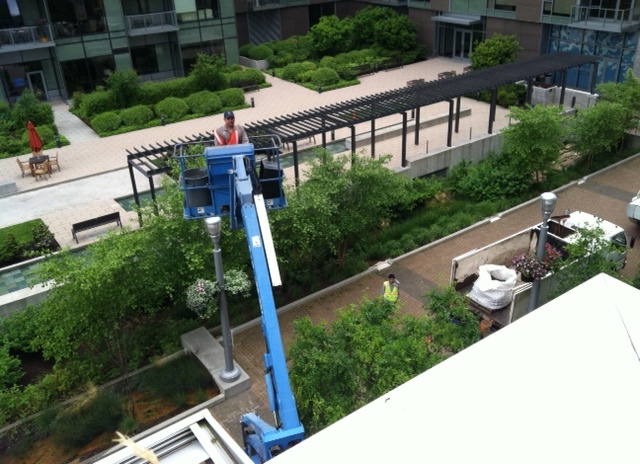 We had one of our crews out today at the Meriwether Condominiums, one of our clients in Portland’s South Waterfront neighborhood. 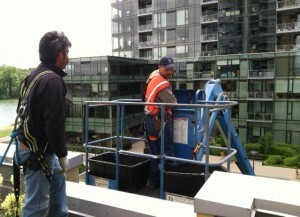 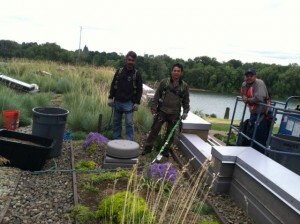 They were working on installing some new plant material on one of the seven Eco-roofs that we maintain for them. How’s that for a good office view!